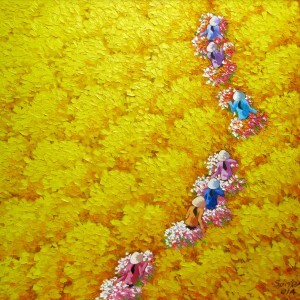 One can use thousands of words to express the artist’s idea. 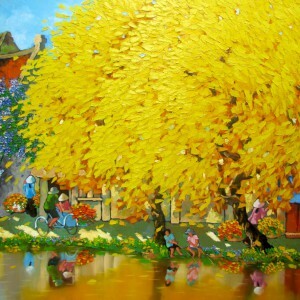 However, art needs no commentary as the painter talks with his brush. 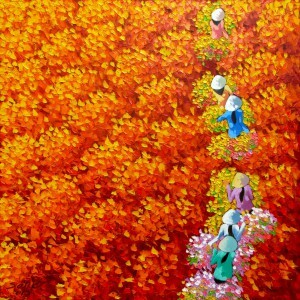 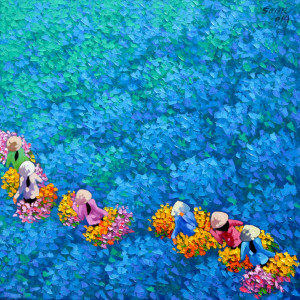 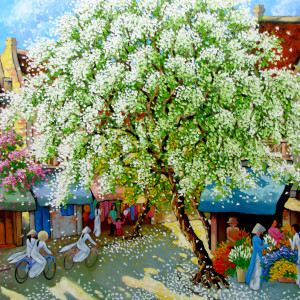 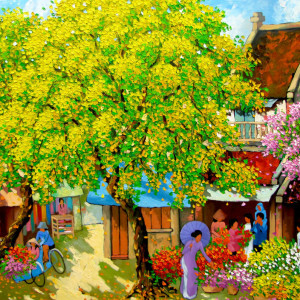 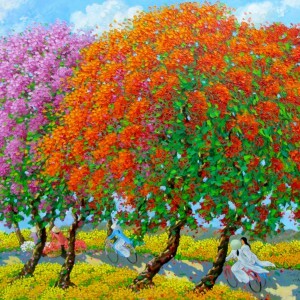 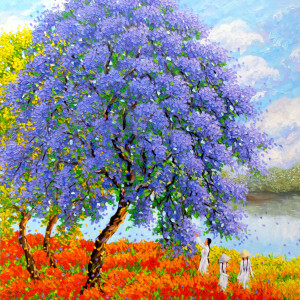 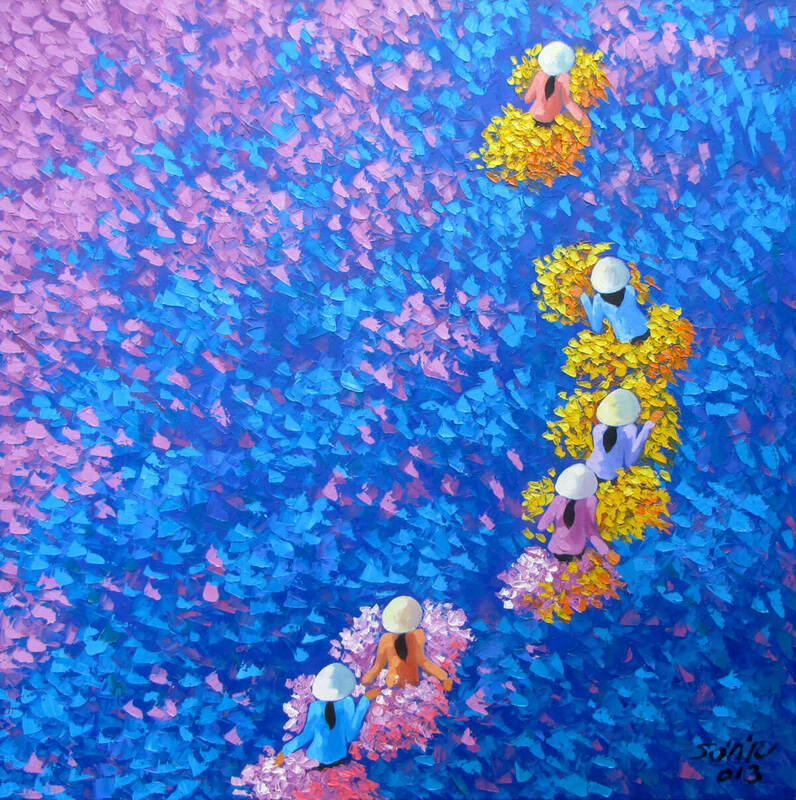 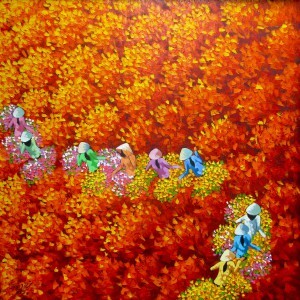 Duong Ngoc Son transforms the carefully chosen vibrant colors and emphasizes the texture into a true painting novel for our eyes. 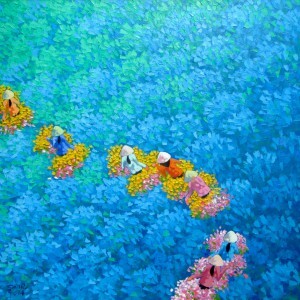 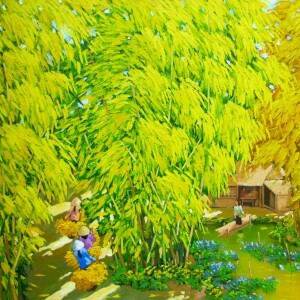 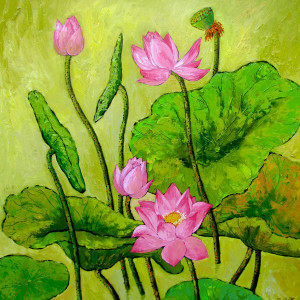 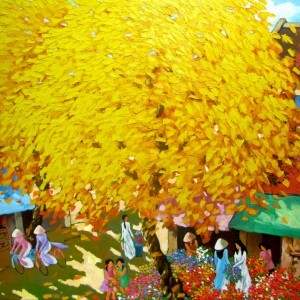 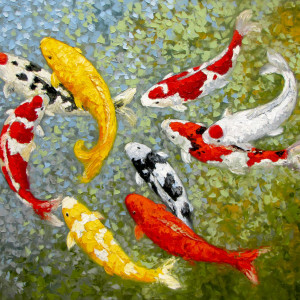 This exquisite piece is a good illustration of contemporary Asian landscape painting.